FULTON COUNTY, Ga. -- A Johns Creek school is apologizing over a racially-insensitive political cartoon included in a lesson on the Civil War. The cartoon was given to eighth-grade students at River Trail Middle School in a packet about the Civil War and Reconstruction, according to Fulton County Schools spokesperson Susan Hale. 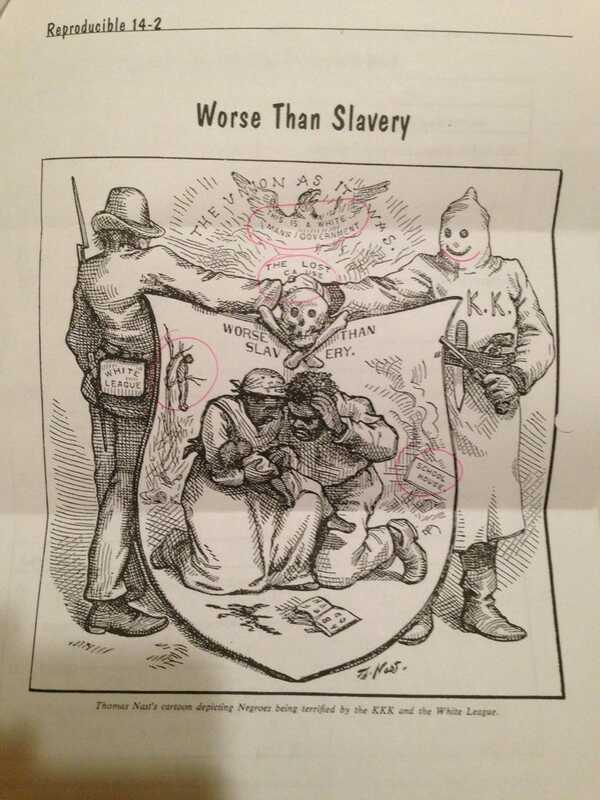 The drawing, with the caption "Worse Than Slavery," depicts a Ku Klux Klan member shaking hands with a White League member over a black family. It also shows what appears to be a lynching and has the words "This is a white man's government." JOHNS CREEK, Ga. -- A woman and two dogs were killed in a large house fire in Johns Creek. The fire broke out shortly before 6 a.m. Monday at 125 Summer Crest Court, in the Summer Trace subdivision. The house was fully involved when crews arrived and was destroyed in the blaze. Johns Creek Fire Chief Jeff Hogan said the fire started in the living room of the split-level house. Its cause is under investigation, but firefighters believe the house did not have a working smoke alarm. Hogan said firefighters were forced to climb ladders and enter the house through a window at the top of the garage to battle the blaze from above. The victim's body was found 15 feet from the front door. She was identified Tuesday as 59-year-old Debra Ann "Dusty" Segars. FULTON COUNTY, Ga. -- It's some news that may not be warmly received by students in Fulton County Schools. The district announced Tuesday that next Friday, Mar. 13 will be a make-up day. It was originally supposed to be a teacher workday and a day off for students, but four days of weather-related school cancellations in February resulted in the need for an extra day. "This is a critical time of year for students to be in school. There is a lot to be done in the next three months, and our students and teachers need every instructional day," Fulton County Schools Superintendent Robert Avossa said in a release. Avossa said the rest of the school year calendar, including spring break and graduation, is not impacted.